I am PASSIONATE about helping people accomplish far more than they ever thought possible. What many of you may not know is that IWBNIN has started a fledgling book publishing company. I love helping passionate people accomplish their dream of having their book published. With that news, I would like to CONGRATULATE William G Bliss [Bill] on the upcoming release of his new book, Leadership Lessons From THE BOOK – Applying Biblical Lessons For Today’s Leaders. Bill has provided executive leadership consulting services for over 25 years and is passionate about connecting biblical principles with practical application. 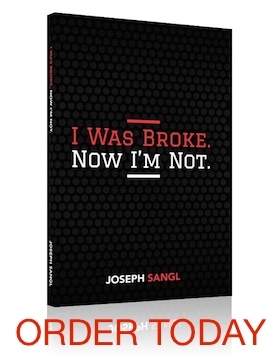 Personally, I was challenged by this book and was inspired and equipped to apply these principles to my business. If you are a leader, I recommend you purchase a copy today (FREE SHIPPING through 10/1/2009). Thanks for all your help in getting this book published! Obviously, I couldn’t have done this without you, your dedication and your PASSION. If any of your readers are thinking of writing a book and having it published, they should seriously talk to you about it. I had no idea what was involved, and you made the process understandable – you developed a schedule that we both had to stick to, and, by God’s grace, we did it.